Once again, Kris Herzog is organizing a gameday for Sunday, February 8th at 11 am to be held at Gregs Catering 3120 Roberts St, Franksville, Wisconsin 53126. It's a short trip from the Milwaukee, Lake Geneva, and Kenosha areas, so stop on by for free gaming a great, reasonably-priced eats. Join the event on its Facebook page here. 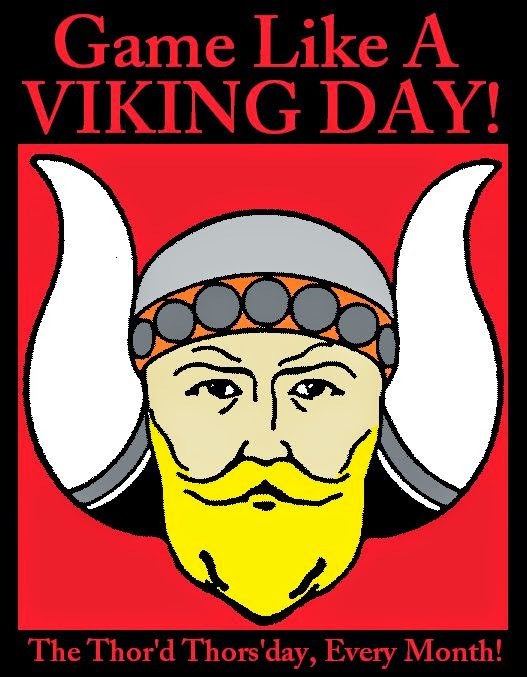 Be sure to make your plans for February 19th, the "Thor'd Thors'day" of January, since it is the monthly Game Like a Viking Day! It's a chance, no matter where you are, to break out your Viking-themed tabletop games and have at it. See more of this ongoing monthly day of fun on the Facebook page here. The third Saturday and Sunday of February, and indeed almost every month, includes the Burlington Gameday on Saturday, February 21st which sets up events through the Burlington UCC Game Day group on Facebook here and A Gathering of Gamers on Sunday, January 15th, set up by the South Lakes Area Gamers here. The former is in Burlington, WI at the Plymouth UCC space and is free taking place from approximately 11 am to 5 pm. The latter takes place at the Pizza Ranch in Elkhorn, WI, and requires a $12 fee for the all you can eat pizza and fried chicken buffet (salad bar, soft-serve ice cream machine, etc.) plus unlimited soft drinks and coffee from 11 am to 8 pm. Don't forget that Winter Fantasy 2015 takes place February 5th to 8th at the Grand Wayne Convention Center 120 W Jefferson Blvd, Fort Wayne, Indiana 46802. More information can be had on their Facebook page here and on Bald Man Games here. And coming in March . 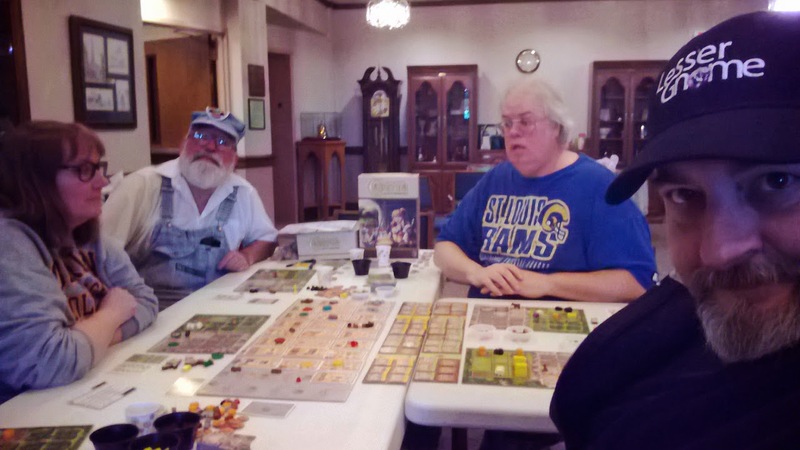 . .
Lake Geneva Games is hosting a gameday this second Saturday, March 14th. You can donate five dollars to the kitty if you want to partake of the pizza and snacks, soda machine on premises, or bring your own feast from the many restaurants right down the street. check out more information on the Lake Geneva Games Facebook page here and the events page here. 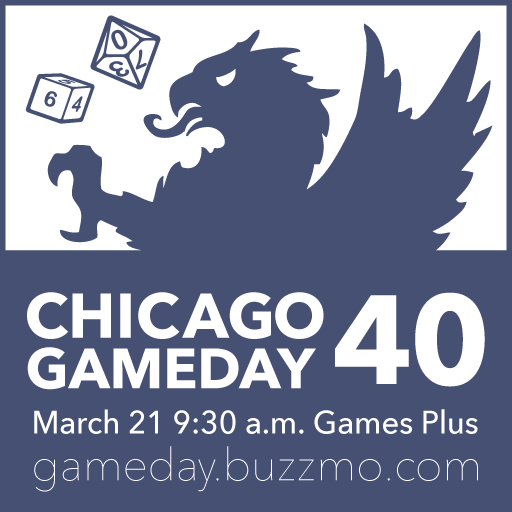 The third Saturday, March 21st at Games Plus in Mount Prospect, IL, the first Chicago EN World Gameday of 2015. The event is organized on Warhorn.net here and features two game slots, the morning slot from 9:30 am to 2:30 pm, followed by a one hour break, then an afternoon slot from 3:30 pom to 8:30 pm (and sometimes later). There are three of these events each year and this is the fortieth one of its kind, so join in for all the RPGing (and some times other games) they have to offer! And lest we forget, Gary Con VII takes place March 26th to 29th in Lake Geneva, WI, and celebrates gaming old and new. Four days with some of the finest gamer/designers in the business from all eras. See more on their website here.